I have always wanted to visit Europe during the Christmas Holidays. A country like Germany, Switzerland or France come to mind. But during my search, these countries were really expensive during the NYE holiday. 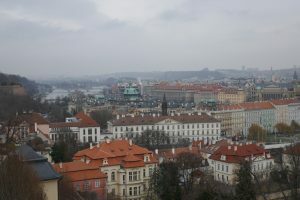 In my search for a city to visit, I came across Prague. 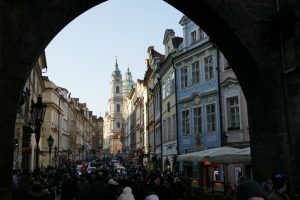 Prague has always intrigued me because I always heard great things about the city. The city is old and it kept its historic charm because it was never really bombed during any of the World Wars. One thing that was definitely on my list were the Christmas Markets. 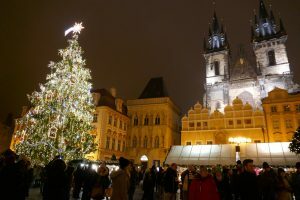 After doing some research, Prague’s Christmas Market was in the Top 5. It also helped that flights and hotels were considerably cheaper. I booked the trip! My routing to Prague took us through O’Hare international Airport in Chicago flying LOT Polish Airlines to Warsaw. 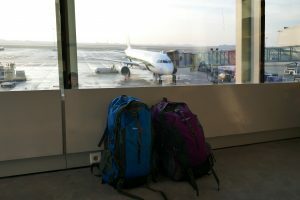 From there, we had a two-hour layover and then took a quick 45-minute flight to Prague. I knew Prague was going to be cold during this time and I didn’t mind it because I was there for the Christmas Markets and NYE. It was in the low 30s. But I did underestimate how much of an effect it would have on us. I love to walk around cities for hours at a time. Sometimes 5 to 6 hours in one setting. Because of the cold weather, we were only able to be out 3 hours at a time maximum and then go back to the hotel to warm up. I booked five nights at this hotel. The location was great. Everything was in walking distance and we never had to take public transportation. 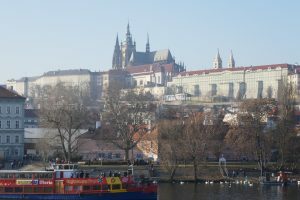 The farthest walk was to the Prague Castle. It took about 1 hour but it was a great way to see the city. Being a Hilton Gold member, we had free breakfast at the restaurant. The breakfast buffet at the restaurant had many choices. We also had access to the Executive Lounge on the 10th floor. They had light snack and drinks for free which was nice. 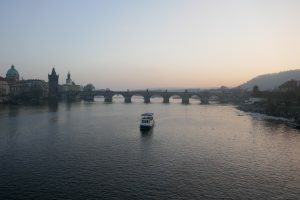 If you are ever in Prague and are a Hilton loyalist, I would definitely recommend this hotel. This is the main focal point of the city. Located here is the Astronomical clock tower, Church of Our Lady and most importantly the Christmas Market! The Christmas Tree in the market was very well lit and it was a real tree. The Church of Our Lady really minded me of a Harry Potter scene. 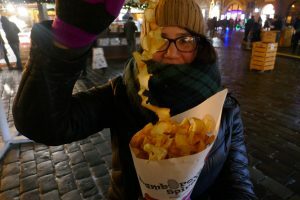 Some of favorites snacks at the Christmas Markets were the Tredlink, fresh potato chips and Kielbasa. Prices were reasonable. About $3 to $4 for every snack. I would definitely recommend getting the Trdeln­k with whip cream and chocolate. It was our favorite and we had about 3 to 4 servings during our trip! This is one of the most famous bridges in the world. It did not disappoint. During our visit to the bridge, we got there in the afternoon and it was packed! We then went again during the early morning hours and it was so much better. Definitely get there early to take pictures and walk freely. One thing I never knew about the bridge where that the sculptures were replicas and the original sculptures are housed at a museum. Makes sense since the sculptures were probably beginning to deteriorate rapidly due to the elements. 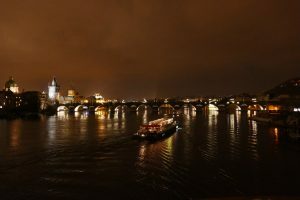 The bridge is also wonderfully lit at night and its worth taking pictures of at night also. The largest castle complex in the world. Again, tip for you, get there very early. We got there at 9am and only waited 3mins for the security line. By the time we left around 11am, the line was at least an hour wait. 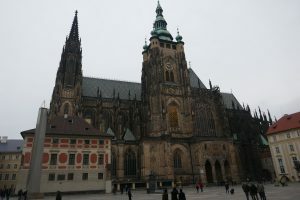 Some of the highlights of the castle is the St. Vitus Cathedral, the museum, and the nice panoramic views of the city. You must buy tickets to get access to the museum and Cathedral but it’s totally worth it. Might as well buy them since you are already there. 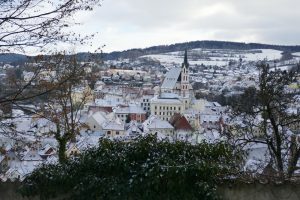 We took a day trip to this little village three hours away from Prague. 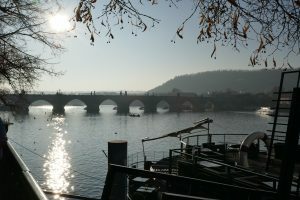 This little town was picturesque with the Vltava river flowing through it. Unfortunately, the castle was closed in the Winter but this is something you would want to see if you visit during the Summer. 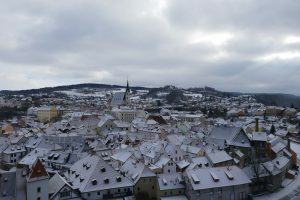 This town also had their own small Christmas Market. One positive was the lack of tourists here. So it was nice to get away from the madness and be somewhere smaller and less hectic. Even though it was three hours away, I recommend visiting this town if you have the time. I was a little scared because I heard stories of how Prague gets crazy during the NYEs celebration. And they were right. Our plan was to go to Old Town Square, see the countdown and fireworks. We were purposely towards the back of the square in order to make our quick getaway back to the hotel. 15 minutes after midnight, we decided it was time to go back but there was still a huge crowd around us. We were finally making our way back when we got stuck in the crowd. It was not moving and the crowd grew frustrated and people started to shove and push. It got scary at one point but we eventually made it out and made our way back to the hotel. One our way back, fireworks were going off everywhere in the streets. Definitely a little too crazy for me but it was an experience I suppose! Now Prague doesn’t have an official firework display at midnight. Instead they do it on New Years day at 6pm. We made our way to a nice bridge to get a great view over the Vtlava River. Once you heard the fireworks going off, I couldn’t see them! It was the FOG! What a bummer. The fog was so low that you couldn’t see anything. It was a big letdown but at least we got to see some fireworks at midnight. The big crowds left disappointed. Prague is a beautiful city. 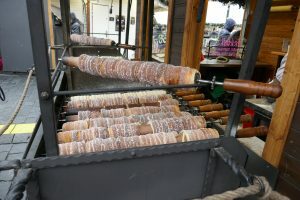 I left satisfied that I was able to experience a Christmas Market and celebrate New Years in another city. But the cold definitely was something different. I don’t think I will visit another city in the cold again but it was definitely a once in a lifetime experience. 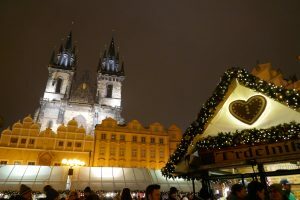 If you ever get a chance to visit a Christmas Market, Prague is a great way to do it.